Need to reach regional or nearby international destinations fast? Then you’ll find it quite convenient to charter for a private flight on board the Beech BE350 KingAir. This reliable, long-serving plane has a space equivalence of 15 passenger seats at most. Its interiors were also customized depending on the operators’ preferred set up. 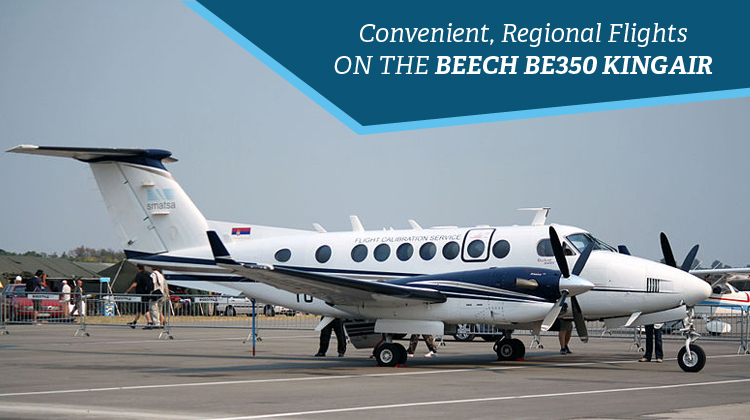 As a standard feature, the Beech BE350 KingAir has WiFi so business and leisure travelers alike can stay connected with their friends, family and professional networks. Did you know this plane also has STOL (Short Take Off and Landing) capabilities? This means the aircraft can fly to much smaller airports, especially if you wouldn’t want to be hassled by cramped airports. Grassy runways can also be landed on by the Beech BE350 KingAir, and this further gives you more taxiing options. Compared to other planes, this one is much lighter hence you’ll have more agility in reaching farther destinations at a much faster rate. Know more about the Beech BE350 KingAir’s specifications, and charter for a private flight aboard this jet today. As an agile plane, the Beech BE350 KingAir has passenger seats in club layouts. These upgraded seats can usually be reclined and each of them has small television panels to enhance your hour-long flight’s experience. The seats may also have pull out and foldable tables for you to relish your meals. However if you’re perhaps about to travel for business purposes, you can opt to use the table as a platform for your laptop. On this table, you can read your emails, update your files on the virtual cloud and prepare your presentation slides to be conference ready. Given its speed and flying range, the Beech BE350 KingAir lets you enjoy the beautiful landscapes, mountains and bodies of water which you’ll be flying over. The sceneries on this flight can be relaxing thus it lessens the presentation jitters should you be using it to fly for a conference or meeting. However if you’re hopping on board this plane for leisurely purposes, you can get started with your getaway be enjoying your flight’s aerial views. The Beech BE350 KingAir is manufactured by Textron Aviation which is a conglomerate of the Beech Aircraft Corporation. This plane is an update of the Beech 300 King Air. The BE350 has a stretched fuselage, and is usually powered by two Pratt & Whitney Canada turboprop engines. This aircraft is useful among corporate travelers and for utility purposes. 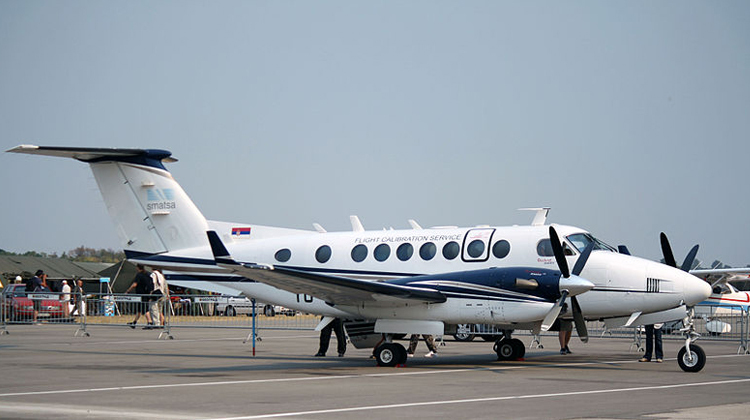 Most operators choose to have Beech BE350 KingAir as part of its fleet. This is due to the value for money which it offers, while maintaining a classic look in its interiors.